Buffalo Trace has three bourbon mash bills at the moment. Their wheated (using wheat rather than rye as the flavoring grain) mash bill is the one which has gained some infamy over the past few years as it's used for the Weller and Van Winkle whiskies. The low rye (~8%) mash bill (aka Mash Bill #1) is used for the regular Buffalo Trace products including Buffalo Trace, Old Charter, the Taylors, the Staggs, the Eagle Rares, and the Benchmarks. Mash bill #2, or the higher rye (~15%) mash bill, is used for the Age International whiskies: Blanton's, Elmer T. Lee, Ancient Age, Hancock's President's Reserve, and Rock Hill Farms. Ignoring the wheated mash bill (forever, if possible), Mash Bill #1 bourbons seem to be easier to find throughout the US, especially Buffalo Trace, Eagle Rare Single Barrel, Benchmark, and at least one of the EH Taylors. But, aside from Blanton's Single Barrel and Ancient Age Sputum, Mash Bill #2's bourbons are difficult to find in most states. I've been told Elmer T. Lee Single Barrel and Rock Hill Farms Single Barrel used to be easy to find (and much cheaper) once upon a time. And I hadn't even heard of Hancock's until this year. Much of what Age International makes is distributed widely abroad since its brands are owned by a Japanese corporation. That's why it's easy to find four different versions of Blanton's in Japan and increasingly difficult to find one in the US. I like Mash Bill #2's results quite a bit. Blanton's Single Barrel can be excellent, or at the very least reliably good. Two bottles of Elmer T. Lee vanished quickly in my home last year. And Ancient Age with some actual age on it can be pretty decent. That's why I was looking forward to trying my sample of Rock Hill Farms Single Barrel. I've never bought a bottle of it myself because I can't remember the last time I saw it on a retailer's shelf for less than $60. Hell, I can't remember the last time I saw it on a retailer's shelf, period. Rock Hill Single Barrel suffers from the same problem as two other popular Buffalo Trace brands. Eagle Rare Single Barrel and Elmer T. Lee Single Barrel are labeled as single barrels but their bottles provide no information about that single barrel. Not even a barrel number. On the cynical side of things, this leaves one wondering if these really are single barrels or a BS marketing ploy. On the logical side of things, this prevents a customer from tracking down another bottle of the barrel he or she might have enjoyed. To me, neither of these things are good for a brand. But people keep buying this stuff, so there's no motivation for Buffalo Trace to change anything. (Oddly, Blanton's labels print all sorts of information about its single barrels, except the age of the whiskey.) 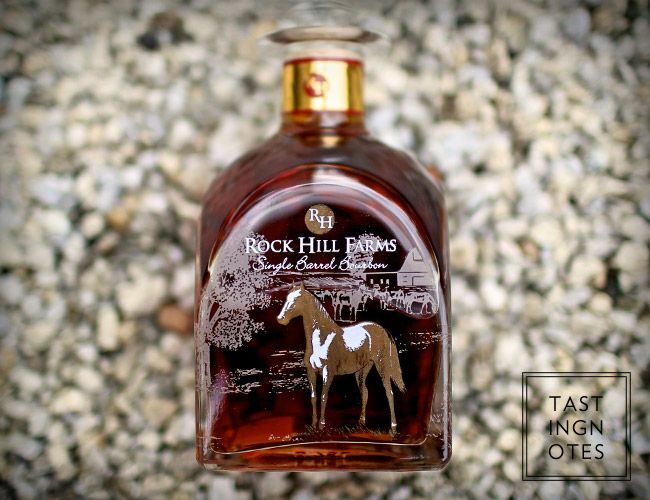 Rock Hill Farms Single Barrel does not provide information about what barrels its bottles come from, thus there isn't a single review you can read about Rock Hill Farms (RHF) that will be relevant to the bottle you have open. Including this review. 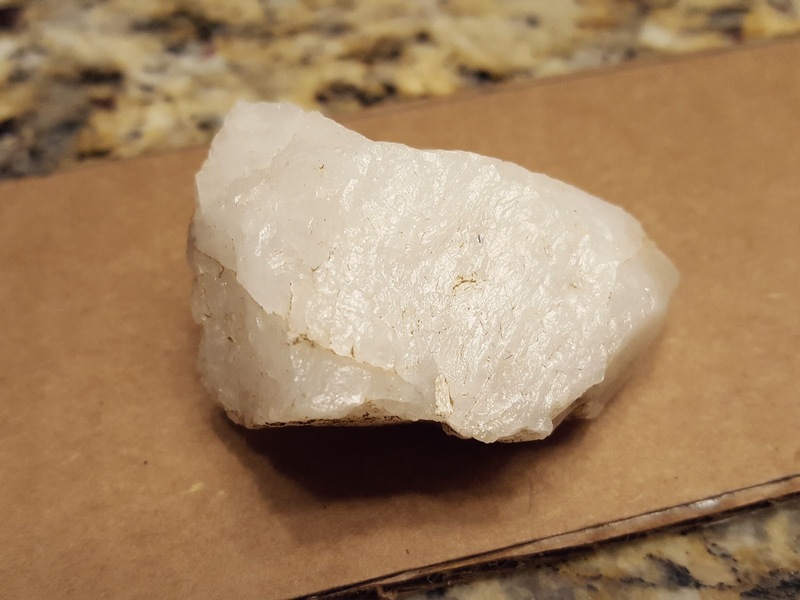 This is a rock. I don't have a photo of my sample bottle. The nose starts off very lightly, mostly of blossoms and almond extract. Once it opens up, it's one BIG vanilla bean. Moderate notes of vanilla fudge, sandalwood and toasted oak spice linger around the edges. The flowers turn into grandma's perfume. Vanilla bean proves to be the main component in the palate as well. There's also brown sugar, grenadine, tart limes, ginger ale, cream soda and a hint of woody bitterness. But where's the rye? The finish itself is sweet sweet sweet. Kool Aid, corn syrup and cream soda. A bite of jalapeño oil. And plenty of vanilla bean. This bears no resemblance to Blanton's nor Elmer T. Lee. Instead it's a like a better version of Ancient Age. Yet there's little to no rye character to balance out this sweet vanilla bomb. This left me nonplussed for the first half of the tasting. But by the end I recognized that this bourbon was a nice simple drink, maybe a bit on the desserty side of things, but offered up no fight nor harm, inoffensive unless vanilla offends. This could be a reliable sipper at $30. But it's not $30. You may be able to find it for $50ish if you're willing to do some hustling, but $60-$70 seems to be its home, or twice that when sold by parasites. If I find a bottle for less than $50 during a dusty hunt, I'll get it. Oh, and the bottle is cute with its horsies, if that's your thing. For more posts on other single barrels of Rock Hill Farms see Chemistry of the Cocktail, Recent Eats (wherein Sku devotes a whole paragraph to the review! ), and LAWS (wherein Tim hates it). Also, Bourbon Scout did a good Mash Bill #2 blind taste test last year.